Highlights: This week the Office of the Public Guardian released a beta for the Lasting Power of Attorney. We attended Civil Service Live and spoke on Digital by Default, G-Cloud and GOV.UK. Mike Bracken met Mark Sedwell the new Home Office permanent secretary and spoke to Jennifer Pahlka of Code for America who is seconded to the White House. Visitors to GDS this week were HMRC, Anne Fenninger from French Government Agency SIG and students from Goldsmiths. Welcome to new starters this week Hadley Beeman, James Duncan and Zaheda Bhorat. Happy birthday to MCO Francis Maude this week and it was the 2 year anniversary of Mike Bracken starting in government. 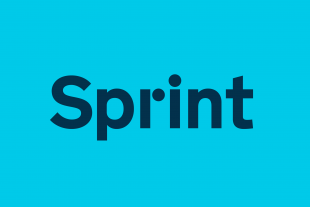 Looking forward to the SPRINT Alpha event and next year which is all about delivery. Mike: Big launch this week, Matt, the Lasting Power of Attorney (beta release) from the Office of the Public Guardian. It’s a thing that you have to do to transfer assets between family members. Often when someone dies or you take care of a relative, you have to go through this process. We launched a beta on Monday. Kit, Simon, Andrew, the OPG (Office of the Public Guardian) guys and Tim, Chris, Lorena, Mateusz at Ministry of Justice (MoJ). It’s been a real team effort with the department and with the agency to get this in place. It takes a whole load of paper out of the process. It’s something that you don’t want to have to do, particularly not at a time of life when you might be dealing with an elderly relative, so to make it a simpler and clearer, faster digital service is a great achievement. We also attended Civil Service Live and had the pleasure of speaking there on Digital by Default. We got a good set of audiences. But the major thing was other people literally could get messages out. Tony Singleton spoke very well around the G-Cloud, which we’ve taken on, and how we plan to develop that. James Thornett and Andrew Greenway talked about what we’re doing in GOV.UK and recruitment. Mike: We’re spending Friday afternoon with Mark Sedwill, who is the permanent secretary of the Home Office. Mark’s the new permanent secretary; a real force for good and force for change there. His team are working on the exemplar (service transformation), so we’re going to see his team and see how they’re getting on. On Thursday I spent an hour online with a video chat with Jennifer Pahlka. Jen runs Code for America, and interestingly she’s been seconded into the White House for a year to try and do some of the stuff that we’re doing here. She’s in the very early stages, and it’s interesting to remember what we were like two years ago, listening to her right now. Mike: As well as the departments, and we’ve had a lot of people from HMRC here actually, but various departments, we had the French government over. Anne Fenninger, who runs Service d’information du gouvernement (SIG), which is the equivalent of GDS over there, was over to have a look round, always good to welcome them in. We also had students in this week from Goldsmiths University in response to a brief around Assisted Digital. They were showing us some very imaginative prototypes of what government could do. Interviewer: That’s fabulous. What do we have coming up? Mike: The week after next, we have SPRINT Alpha. That’s the second SPRINT event, it is 100 working days after the first SPRINT event we had in January. It’s really reporting on the transformation programme as a whole, and how we’re getting on with our alphas and betas. I’m really excited about that. We’re going to have permanent secretaries from all departments, several ministers in place, and we’re going to be able to show some of the alphas and betas for the first time. It’s going to be great. Mike: We have Hadley Beeman and James Duncan in Office of the Chief Technology Officer (OCTO), and also Zaheda Bhorat; Zaheda joined us from the open data world; has been working with Google, Mozilla and those sorts of organisations; I think she’ll give us a real step up on that front. Mike: We’ve had our minister, Francis Maude’s birthday this week, happy birthday to him. Today is my second year (at GDS), it marks two years since we started in government. Remember we only opened GDS in November 2011, but it’s two years today. So we’ve done quite a lot. But I do remember my first day being in a particularly unlovely, sweaty room in south London; we’re no longer in that office, it does seem a very, very different place now. Interviewer: What does the next year hold for GDS? Mike: Delivery. Particularly delivery of transactional services; complete end-to-end transformation of 25 services, 8 departments, 14 agencies. What we have to do is deliver those alphas and betas and replace existing services, and at the same time we’ve got to get 300 agencies onto GOV.UK, and also roll out our identity play. We have a lot to do on Assisted Digital and Digital Inclusion. But next year is really all about delivery.